One of the toughest parts about buying a home is coming up with a down payment. Fortunately, if you are a future homeowner in North Dakota, there are North Dakota down payment assistance programs that make it much easier. Most down payment assistance programs in the state of North Dakota are for first-time home owners. North Dakota down payment assistance programs defines a first-time owner as someone who has not owned a property in the last three years. However, even if you have owned a property within the last three years, you may still qualify for down payment assistance. North Dakota has different programs for down payment assistance broken down according to state, city, county and also a charity program. Each program has approximately $10,000 available. 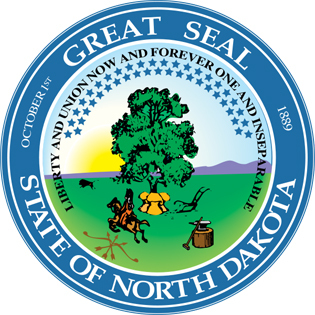 There are also government subsidized programs and charitable organizations in the State of North Dakota that offer down payment assistance. Both of these work in compliance with the United States Department of Housing and Urban Development (HUD) and the Federal Housing Administration (FHA). Some charitable organizations only have to comply with HUD and not FHA in order to give cash gifts to eligible home buyers. USDA 100% financing program – Offers a zero down payment with a credit score of at least 640. The property must be located in an eligible area and some income guidelines apply. Good Neighbor Next Door – Offers 50% discount to those who work in law enforcement or who are teachers, emergency responders, health care professionals or military personnel. VA Loan – Offers zero down payment for active military personnel or veterans. PMI Buster – Offers a low down payment with a minimum credit score of 720. These are just some of the North Dakota down payment assistance programs available. This entry was posted in North Dakota and tagged down payment assistance, grants, housing authority, north dakota, programs. Bookmark the permalink.